Don’t be Scared of Theology! 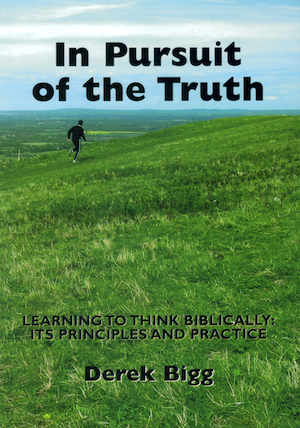 This entry was posted on October 13, 2010 by Phil Groom, in Book News, Guest Posts and tagged Biblical Theology, Christian theology, Christianity, Derek Bigg, Dewcroft Publications, In Pursuit of the Truth, LBC, London School of Theology, LST, Meet the Author, Oak Hill Theological College, Systematic Theology. Bookmark the permalink. “I’m no theologian.” Have you ever heard anyone say that? Perhaps you’ve even said it yourself – or at least thought it. My response? You’re certainly a theologian if you’ve grasped the significance of Jesus’ life, death and resurrection. And that’s just the beginning. Effectively you become a theologian whenever you make a judgment about the meaning or proper interpretation of Scripture. The real issue is not whether Christians can be theologians but what kind of theologians they actually are. At one end of the spectrum are those who have a coherent theological system. At the other end are those with a ragbag of uncoordinated ideas. Most of us are somewhere in between. My own theological journey began in the 1950s as I listened to occasional sermons preached in my North London church by Alan Stibbs and Derek Kidner of Oak Hill Theological College. Then came four years as a student at London Bible College, when Ernest Kevan was Principal, followed by a teaching ministry in Spain and more recently the training of future leaders in Haywards Heath Evangelical Free Church, where I have been a member for many years. The calibre of our theological thinking will inevitably affect the quality of the end product – what we believe and practise. Consequently our theology should as far as possible be in harmony with the nature, content and structure of the Bible. Is this too daunting? Does the mere thought of such a high ideal scare you to death? I only have to look at a car engine to feel scared. Why? Because I don’t understand how it works. Is this how you feel about theology? If so, you might find help in my book In Pursuit of the Truth. This spells out how theology works in practice. Using down-to-earth language, it brings into play the insights of two disciplines: Biblical Theology and Systematic Theology. What do they tell us? Think of an oak tree. This starts life as an acorn and gradually grows to maturity. 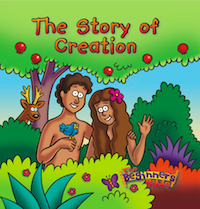 Similarly, the Bible “grows” little by little from its roots in Genesis to the full splendour of Revelation. The trunk of the biblical tree is the kingdom of God. This is the theme which binds the whole of Scripture together in organic unity. New boughs and branches continually appear, all revealing in some way the progress of God’s kingdom in the world. This is a picture of Biblical Theology. Systematic Theology studies the fully grown tree, classifies by subject-matter what it finds in the trunk, boughs and branches, then arranges these findings to construct a system of Christian doctrine. The bulk of the book’s first chapter explains and illustrates six principles of Biblical Theology. This section is crucial because it shows how the different parts of Scripture fit together and relate to each other. A sound Systematic Theology operates within this framework. When the two disciplines are working well in tandem, their relevance to everyday life becomes immediately apparent. Supplied post-free to booksellers, to retail at £5 each, the bookseller to retain £2 per copy. Available direct for £6 including postage and packing (cheques made payable to D. Bigg) from 41 Barnmead, Haywards Heath, West Sussex RH16 1UY (email derekbigg AT hotmail.co.uk). Also available via Amazon Marketplace.